Working with premier technology publisher, O’Reilly Media, we’ve created top-selling books for beginners and experts alike. 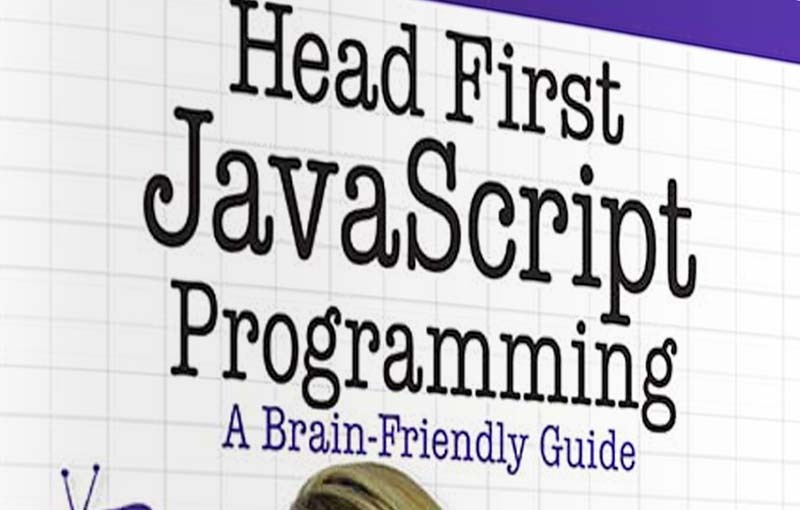 Whether you’re just beginning to code or building your first web pages, or you’re an advanced software engineer, we’ve got a book that will take your skills to the next level. 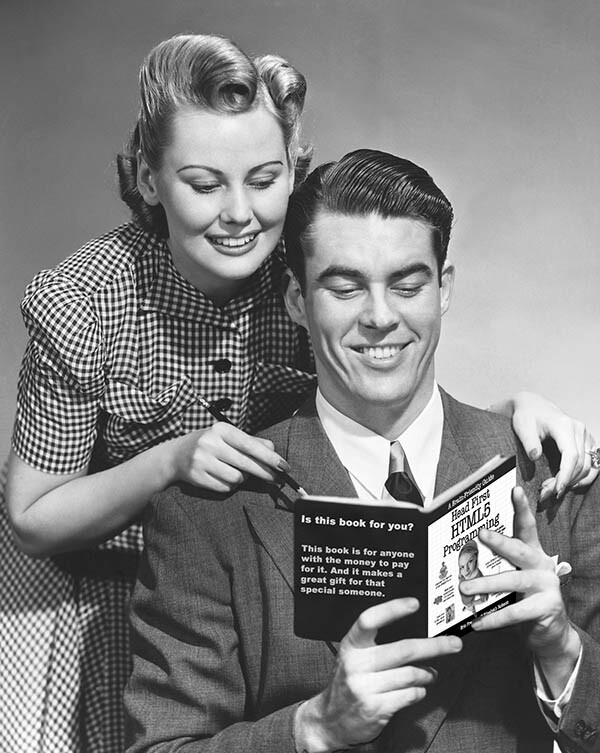 Join our audience of more than 1,000,000 readers who have used our books to succeed. It’s no secret the world around you is becoming more connected, more configurable, more programmable, more computational. You can remain a passive participant, or you can learn to code. 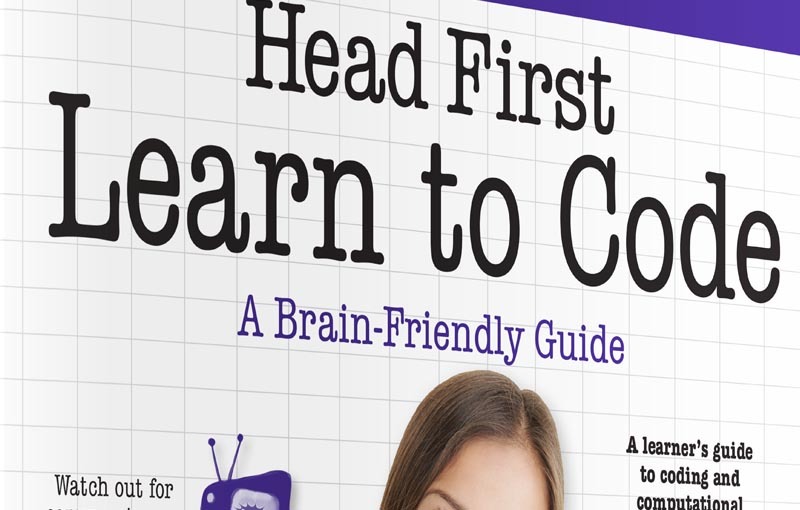 With Head First Learn to Code you’ll learn how to think computationally and how to write code to make your computer, mobile device, or anything with a CPU do things for you. Using the Python programming language, you’ll learn step by step the core concepts of programming as well as many fundamental topics from computer science, such as data structures, storage, abstraction, recursion, and modularity. 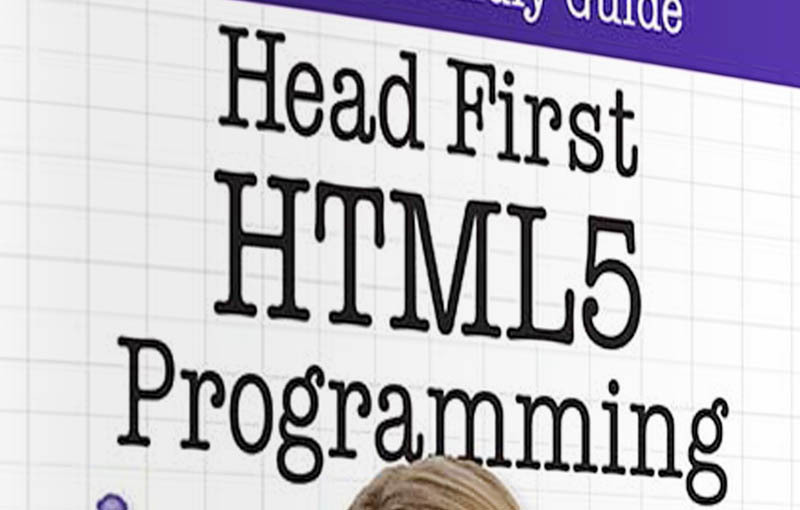 Tired of reading HTML books that only make sense after you’re an expert? 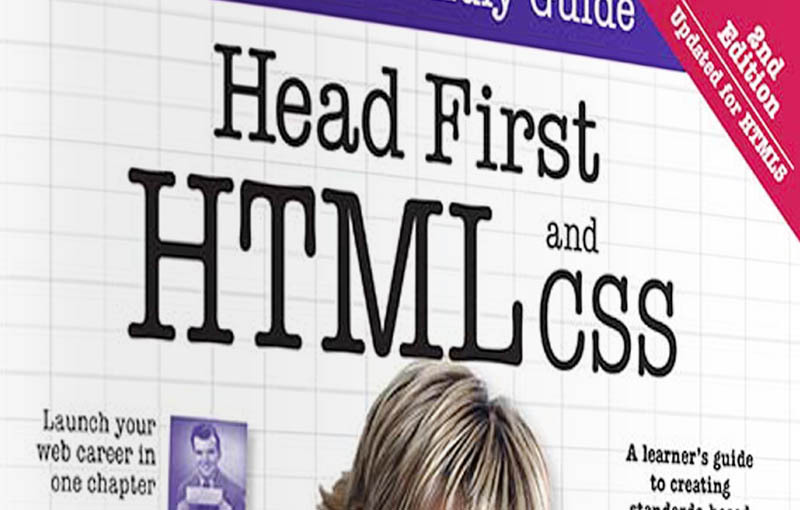 Then it’s about time you picked up Head First HTML and CSS, and really learned HTML. You want to learn HTML so you can finally create those web pages you’ve always wanted, so you can communicate more effectively with friends, family, fans, and fanatic customers. You also want to do it right so you can actually maintain and expand your web pages over time so they work in all browsers and mobile devices. 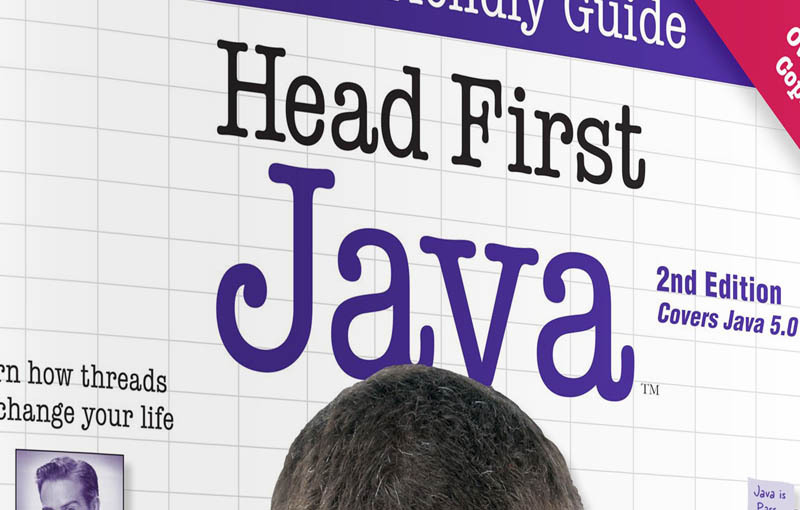 Despite its playful appearance, Head First Java is serious stuff: a complete introduction to object-oriented programming and Java. You’ll learn everything from the fundamentals to advanced topics, including threads, network sockets, and distributed programming with RMI. This edition focuses on Java 5.0, and includes all the core Java fundamentals. This book combines puzzles, strong visuals, mysteries, and soul-searching interviews with famous Java objects to engage you in many different ways. It’s fast, it’s fun, and it’s effective. At any given moment, somewhere in the world someone struggles with the same software design problems you have. You know you don’t want to reinvent the wheel (or worse, a flat tire), so you look to Design Patterns–the lessons learned by those who’ve faced the same problems. 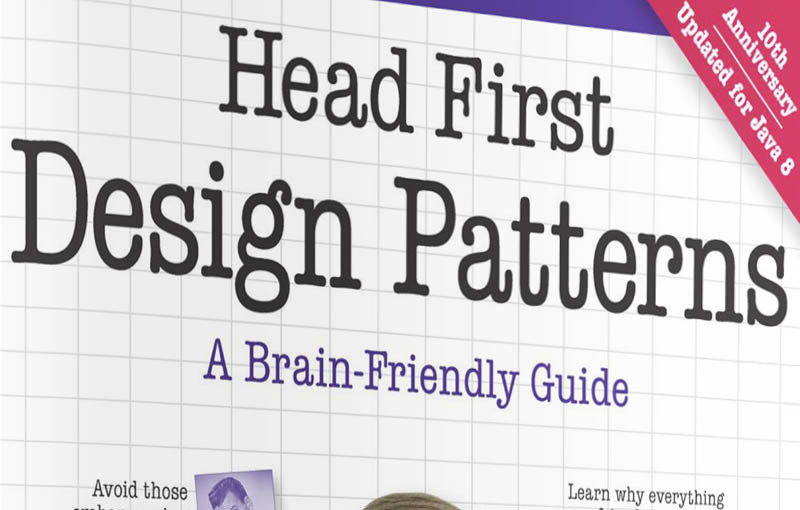 With Head First Design Patterns, you’ll avoid the embarrassment of thinking Decorator is something from the “Trading Spaces” show. Best of all, i/head-first-design-patterns/n a way that won’t put you to sleep! We think your time is too important (and too short) to spend it struggling with academic texts.